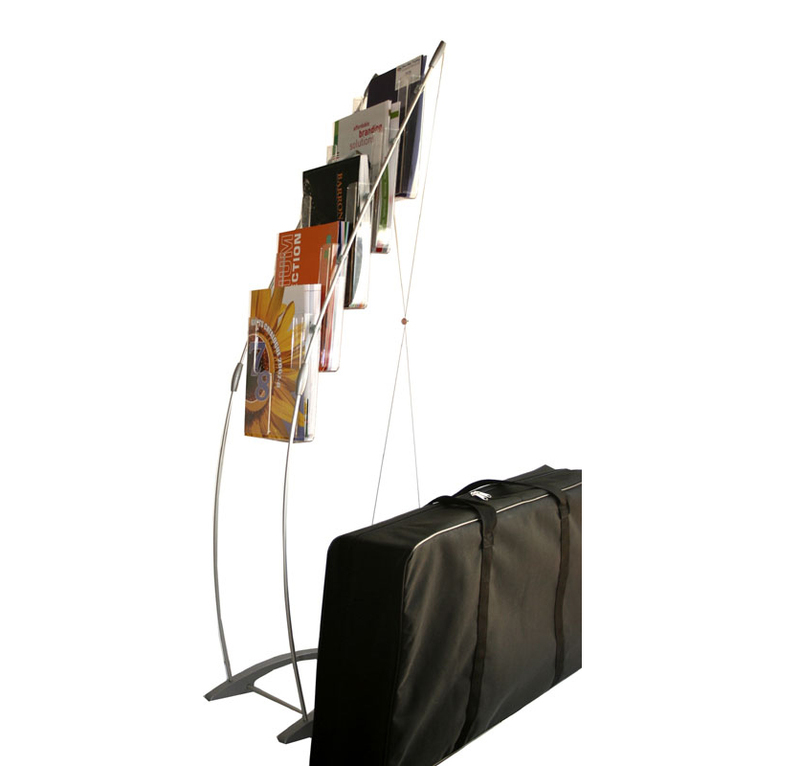 The Brochure Stand Executive is steel constructed and epoxy coated in silver colour. The system comprises of ten tiers and is supplied with carry bag – fully collapsible and compact. 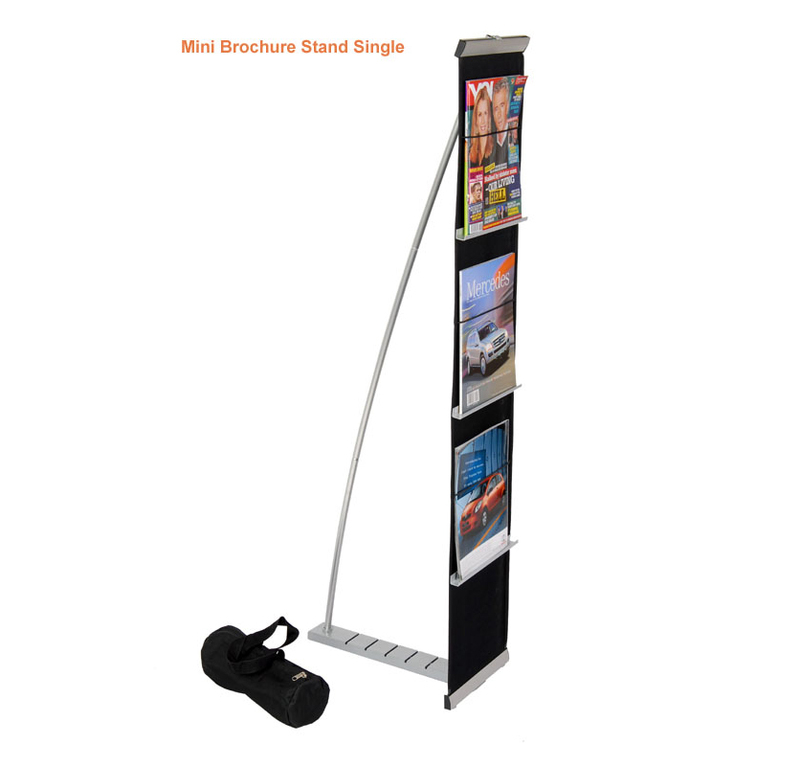 The Brochure Stand Executive can be customised to suit requirements but subject to quantity. The Brochure Stand Line Up is steel constructed and epoxy coated in silver colour. The system comprises of four tiers and is supplied with carry bag – fully collapsible and compact. The Brochure Line Up can be customised to suit requirements but subject to quantity. 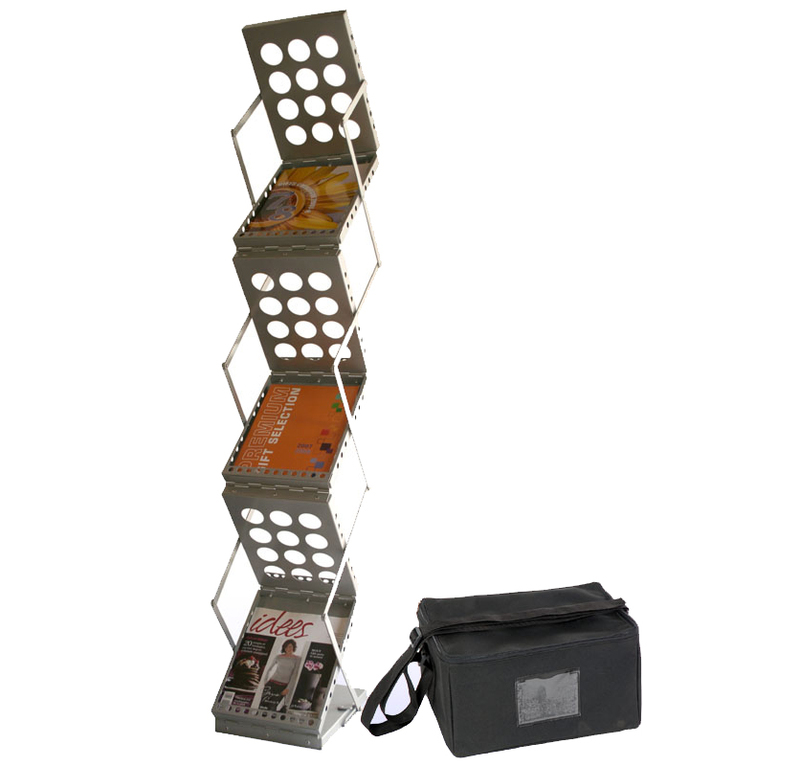 The Brochure Stand Z Up is steel constructed and epoxy coated in silver colour. The system comprises of three double sided tiers and is supplied with carry bag – fully collapsible and compact. 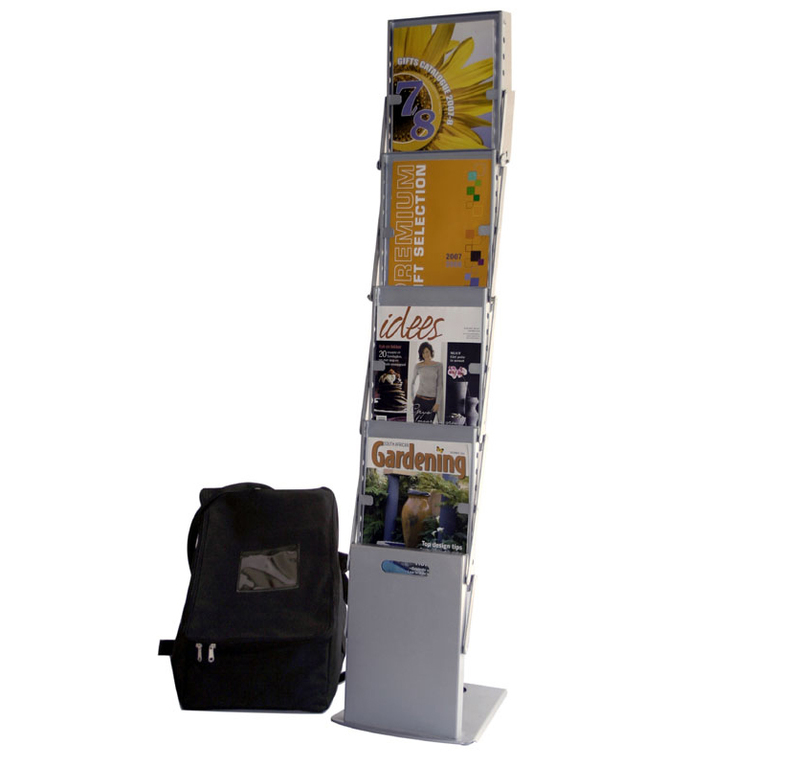 The Brochure Stand Z Up can be customised to suit requirements but subject to quantity. Five A4 perspex pockets and a carry bag – fully collapsible and compact. 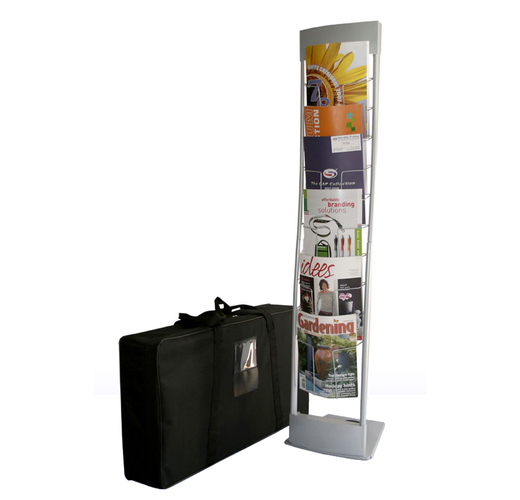 The Brochure Stand Smart can be customised to suit requirements but subject to quantity. 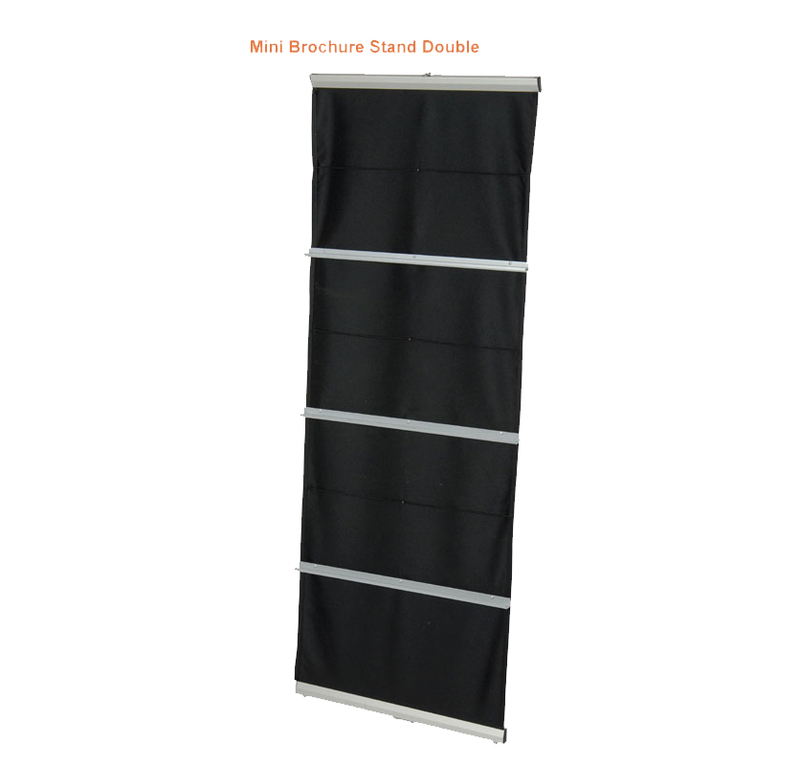 Includes a durable fabric backing with top and bottom aluminium profiles, weighted base, pole and carry bag – fully collapsible and compact.